Working days would be Monday to Friday 8am to 5pm, weekend work optional if required/needed. Pay is above average for the industry as we take pride in looking after our fitting team. You will be self-employed and have the potential to earn between £500 – £1,000 plus per week.  You will be expected to fit casement windows, sash windows, all types of uPVC and aluminium Doors/composite French/patio and Bi-folding doors. We also install guardian roofs, conservatories, soffits and facia Boards/cladding so experience here would help. You are expected to treat our customers and their homes with the utmost respect. Previous experience ideally NVQ trained but not essential the position would suit the candidate to be based in MK area, you must have a full Driving licence. We will supply uniform and a van if necessary. Each fitting team has one van between them.